Hattie Carthan Community Farmers Market on Saturdays thru Nov 17th @ Clifton Place at Marcy Ave., 9AM-3PM. Shop for fresh, locally grown fruits and veggies, herbs, cage-free eggs and specialty farm products. Enjoy youth cooking demos, communal dinners in the marketplace, the smoothie blender-bike and more. WIC/Senior Market Coupons and EBT cards accepted. Get FREE Health Bucks coupons! West Indian-American Day Parade on Eastern Parkway from Schenectady to Grand Army Plaza, 11AM-6PM FREE. Bands and marchers hail from Trinidad, Grenada, Guyana, Jamaica, Saint Croix, Barbados, Haiti, Belize, Nevis, etc. Free Roller-Skating at Brooklyn Bridge Park, Brooklyn Bridge Park Rink, Pier 2, 150 Furman St., 3:30-6PM, Skate rental $6 (if needed). Bring your family and friends every Monday and Friday for skating to Top 40 hits while enjoying the best views of NYC. Conversations in Black Freedom Studies: Black Health & Community Activism, Schomburg Center for Research in Black Culture, 515 Malcolm X Blvd., Manh., 6:30-8:30PM FREE. Medical apartheid and a lack of affordable insurance have been deadly crises for Black America. Now with attempts to eliminate Obamacare, what can be done? Dr. Julius Garvey, Gabriel Mendes and Alondra Nelson explain what Black and Latino communities have done in the past to advance health against the tide of racism, including community organizing efforts like Harlem’s Lafargue Clinic and the Black Panther Party health care initiatives. RSVP at Eventbrite. 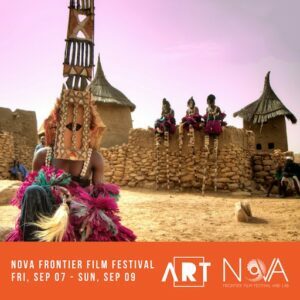 Nova Frontier Film Festival at The Billie Holiday Theater, 1368 Fulton St., Thru 9/9. Various times, Free on Fri, $10 on Sat & Sun. Enjoy a lineup of compelling films, panels and virtual reality media about and from the African Diaspora, the Middle East and Latin America, presented by RestorationART and the Nova Frontier Film Festival. This year’s festival focuses on themes of immigration, identity and interculturalism, with a program of over 22 films (shorts, feature and documentary), a virtual reality experience and panels. 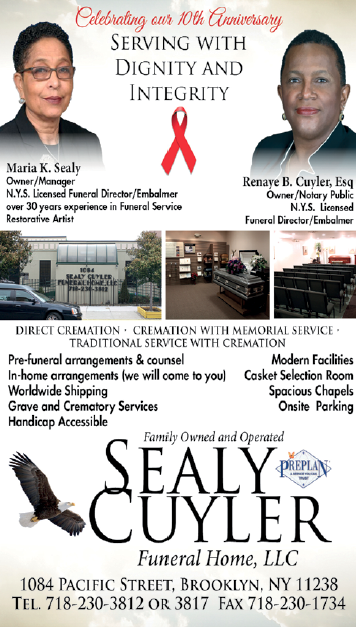 For info call 866-811-4111 or visit www.restorationart.org. Soulfest 2018 @ Medgar Evers College, 1650 Bedford Ave., 11AM-7PM FREE. An outdoor cultural extravaganza inviting the diverse population of Medgar Evers College and Central Brooklyn to gather and share their culture. Tickle your taste buds with the flavors of Brooklyn and soothe your soul with arts and crafts. Play a few games and maybe even a free giveaway, all while supporting student scholarships. A New Social Contract for Black and Latino Women @ Schomburg Center for Research in Black Culture, 515 Malcolm X Blvd., 6:30-8:30PM. Presented by Black Women’s Blueprint and the invited speakers: Cathy Albisa, National Economic and Social Rights Initiative; Farah Tanis, Black Women’s Blueprint; Akiba Solomon, COLORLINES; Jacqueline Ebanks, NYC Commission on Gender Equity; Opening remarks by Kadiatou Tubman of The Schomburg. Register at tinyurl.com/ANSC4BLW.Friday, September 21st Lighting the Fires of Freedom: African-American Women in the Civil Rights Movement @ Medgar Evers College, 1638 Bedford Ave., 5-8PM FREE. Join author and social justice activist Janet Dewart Bell, Ph.D., for an enlightening conversation, book-signing and celebratory reception for her latest book, written in honor of the 50th Anniversary of the Civil Rights Act. Mistress of ceremonies is former NYC Commissioner of Human Rights Dr. Marcella Maxwell.